In the last chapter of this saga, we received a response from the CEO of the company that manages the ships for Eitzen Chemical. We could not have asked for a better response and I would like to thank both Eitzen Chemical and V.Ships (ship management) for their concern and for looking into this matter. Dear Mr and Mrs Sicade. I have been passed your correspondence and can assure you that we, as responsible ship managers take your concerns very seriously. We are a leader in our profession and have an excellent record in commitment to safe operation. 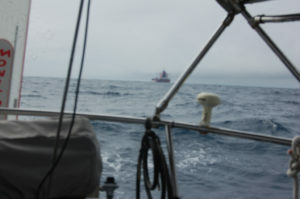 I do not wish to return to the discussions about how close and from where the vessel approached. I am happy to accept what you say. The reality is you were concerned at the vessel manoeuvrings. The point we would like to take from this, is that we need to be more careful in approaching sailing vessels sighted deep sea, which whilst undertaken in the spirit of common concern for those potentially in peril upon the seas, should not heighten concerns or make more fearful fellow mariners. We will give guidance to our vessels, in this regard. 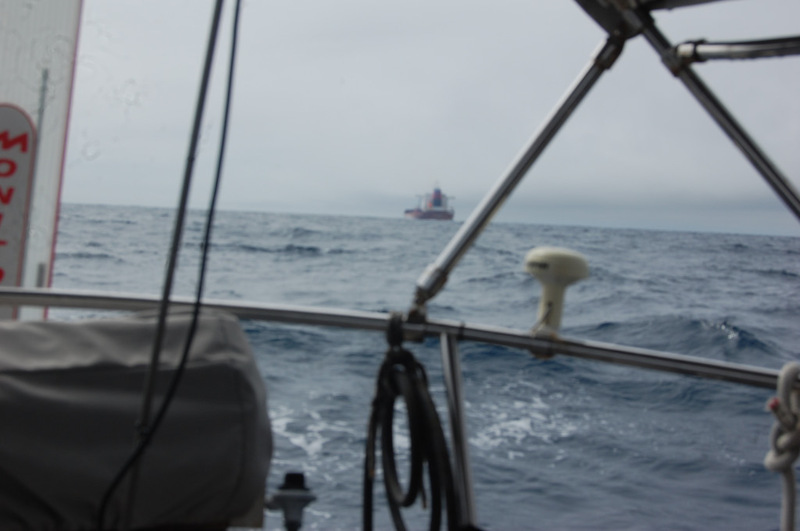 We will let them understand that, in many cases the poor lookout and lack of concern by merchant shipping for fellow sailing mariners which can be experienced within the deep sea sailing community has resulted in sailors becoming more concerned that pleased when sighting merchant traffic. So thank you for sharing your concerns with us and we will follow up on the matter.